Eating one of these muffins delivers sweetness, tartness, and crunchiness all in one neat little package. 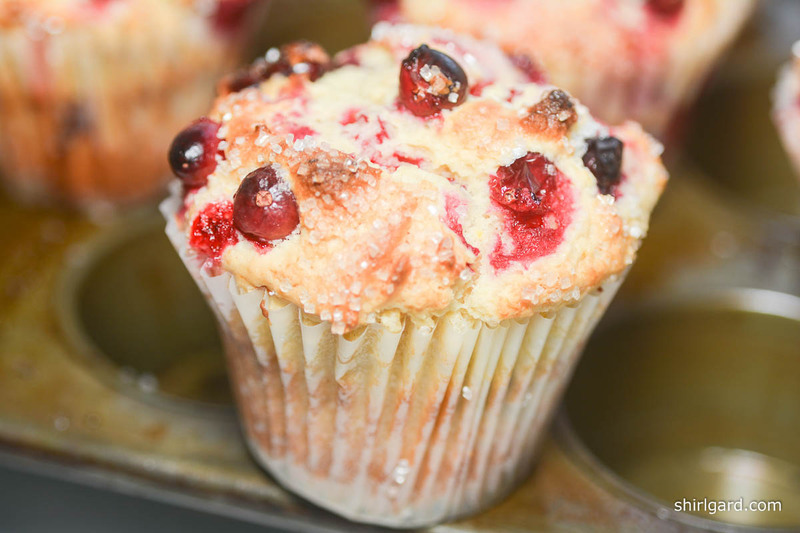 What makes the flavor of these muffins so great is the combination of dried and fresh cranberries. 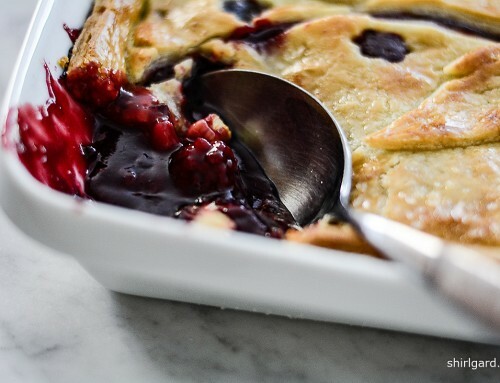 In one bite, you get the sweetness of a dried cranberry and in the next bite fresh cranberry tartness. Then, as a bonus, there’s that crunchy sparkling sugar scattered all over the top. 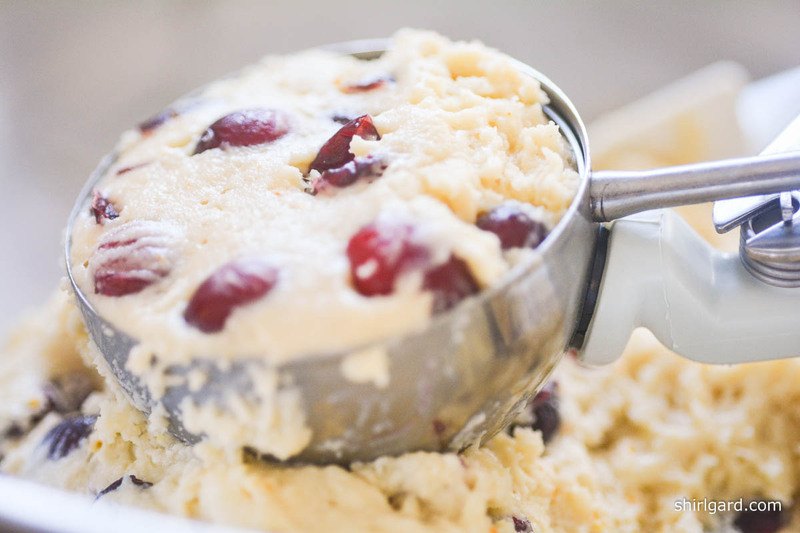 Cranberry Muffins are good anytime, but especially in the fall when they are being harvested and are in season, from mid-September to the end of November. 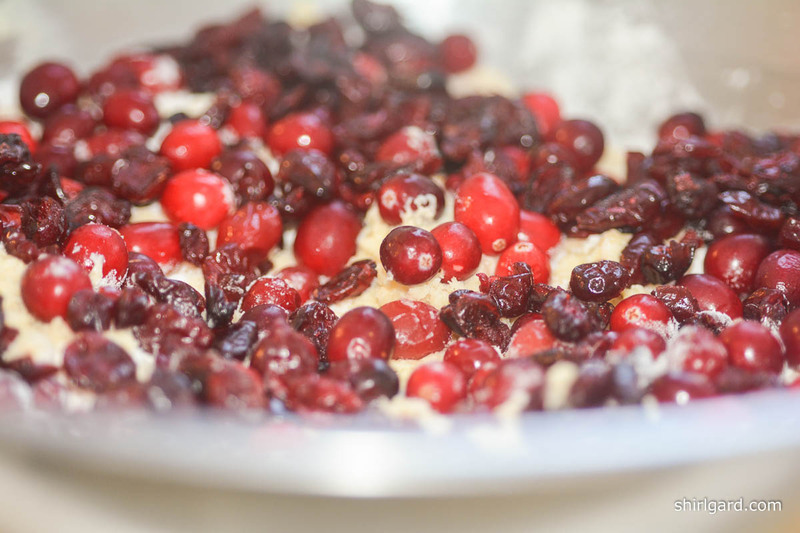 I am drawn to baking with cranberries not only because of their flavor, but also the fact that they are grown here in Massachusetts, over on the cape. You can read about the harvesting of cranberries here and here. 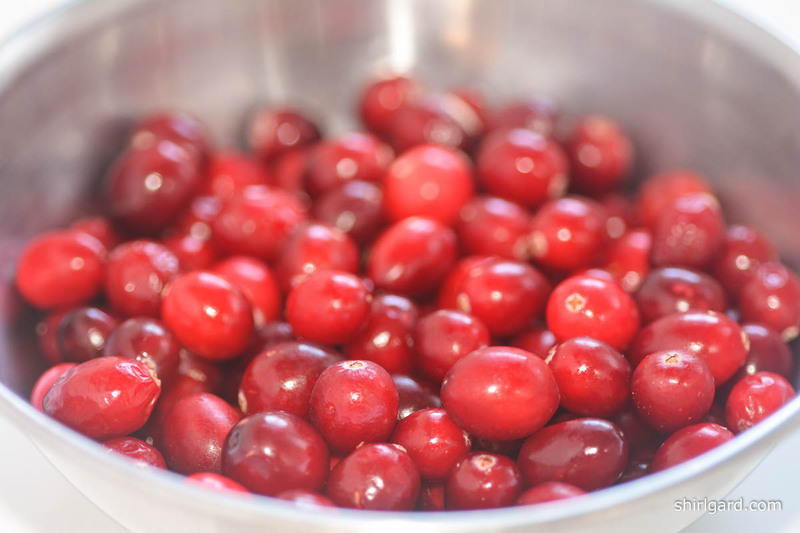 There’s something else that makes cranberries so special and that’s their wow! factor: a brilliant eye-popping red color. When you use dried and fresh together, you get a whole range of reds that’s very appealing, from dark burgundy to dazzling bright red. 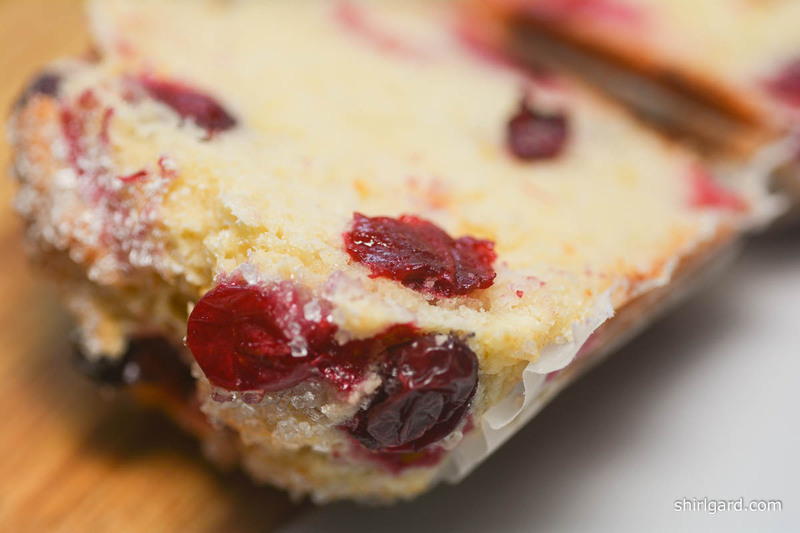 It’s those red colors that make Cranberry Muffins the perfect baking choice to serve on holiday mornings. 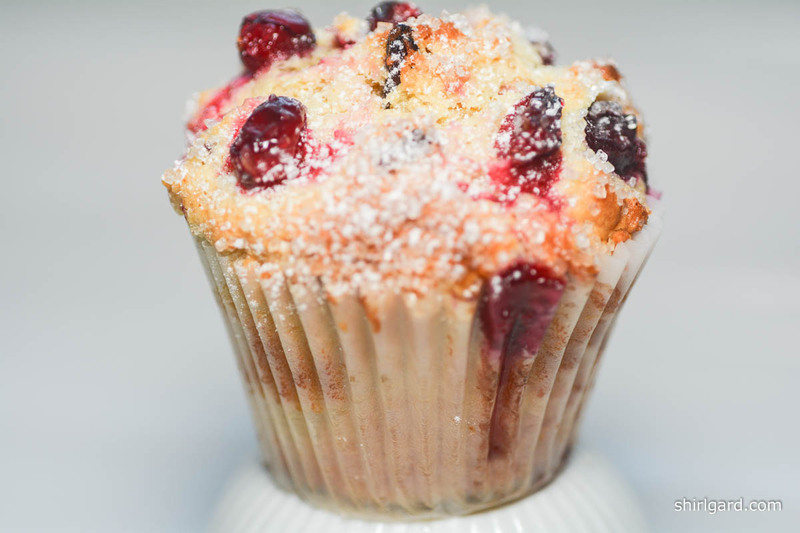 Whether waiting for the turkey to roast on Thanksgiving Day or while unwrapping presents on Christmas morning, your family and friends will be very happy to munch on Cranberry Muffins. 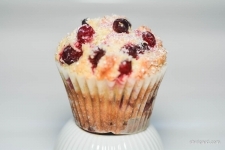 What makes the flavor of these muffins so great is the combination of dried and fresh cranberries, which gives you, in one bite, both sweetness and tartness. PREP MUFFIN PANS: Place muffin pan on half sheet pan. Line muffin pans with large 6" diameter paper liners. Just before scooping batter, spray with a non-stick spray (Pam with flour). 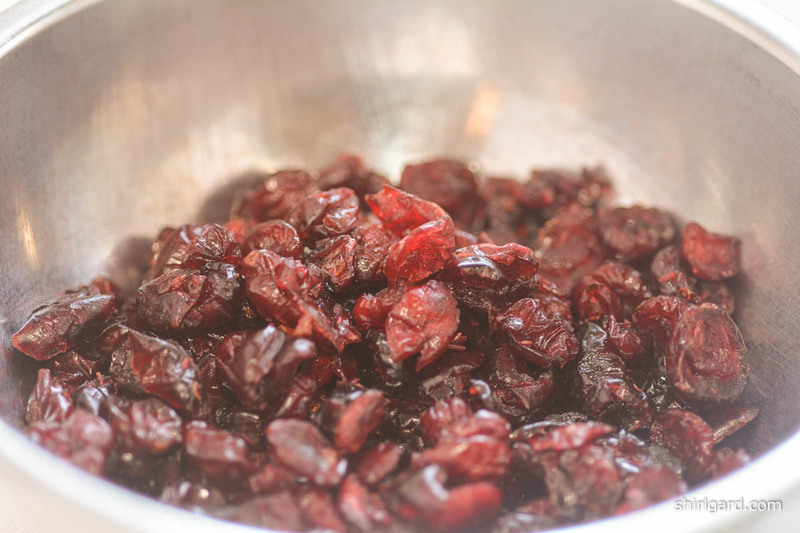 MIX: In a large mixing bowl, whisk together the DRY INGREDIENTS. 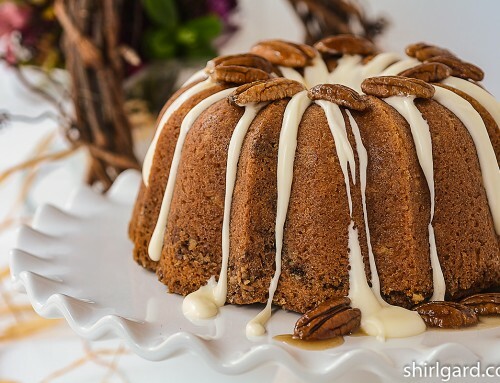 In a medium mixing bowl, whisk together the LIQUID INGREDIENTS. Pour liquid ingredients into the center of the flour mixture. Fold together with rubber spatula until flour is half absorbed. 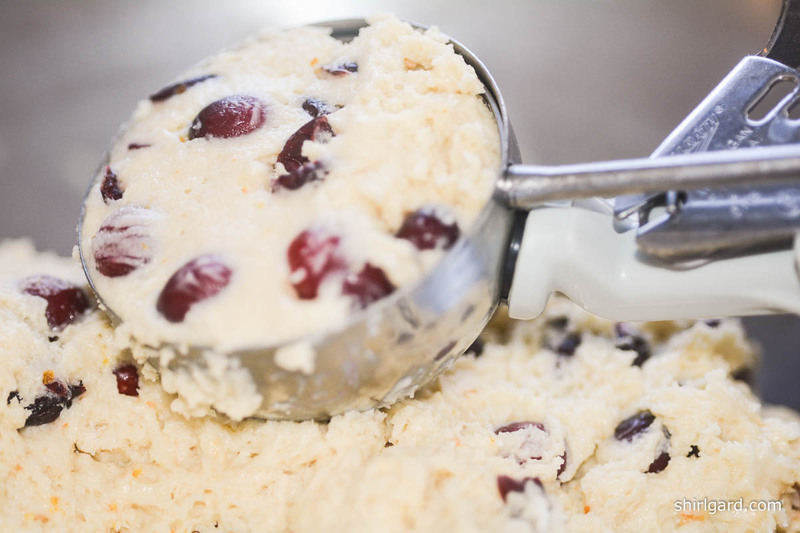 Sprinkle the cranberries evenly over the top of the batter, then continue folding just until they are well incorporated and all the flour is moistened. 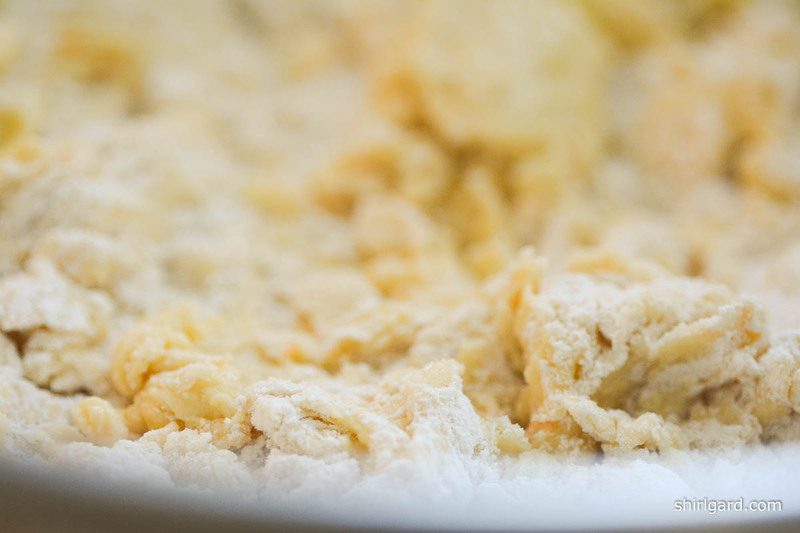 Scrape the bottom of the bowl and fold in any loose flour. This batter will be very stiff. 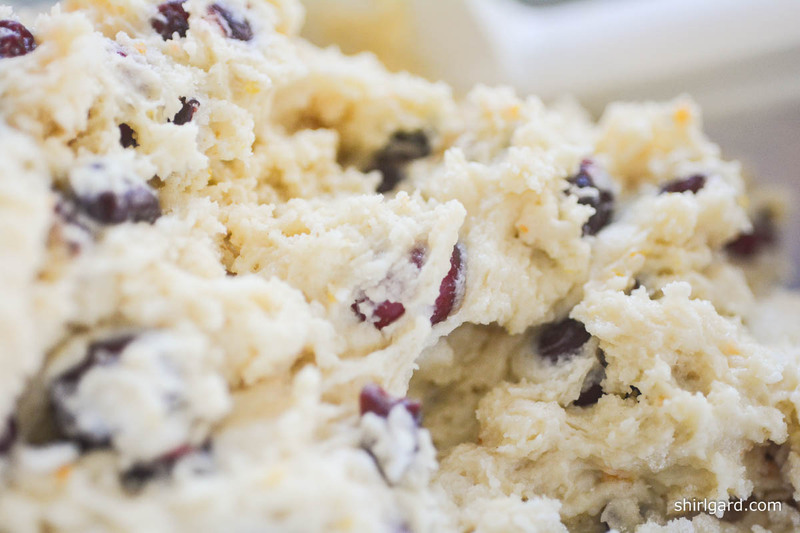 SCOOP MUFFIN BATTER: USE A #8 GRAY SCOOP - LEVEL (1/2 cup). TOPPING: "STUD" the tops in a random fashion with the extra cranberries, then sprinkle generously with sanding sugar or sparkling sugar. 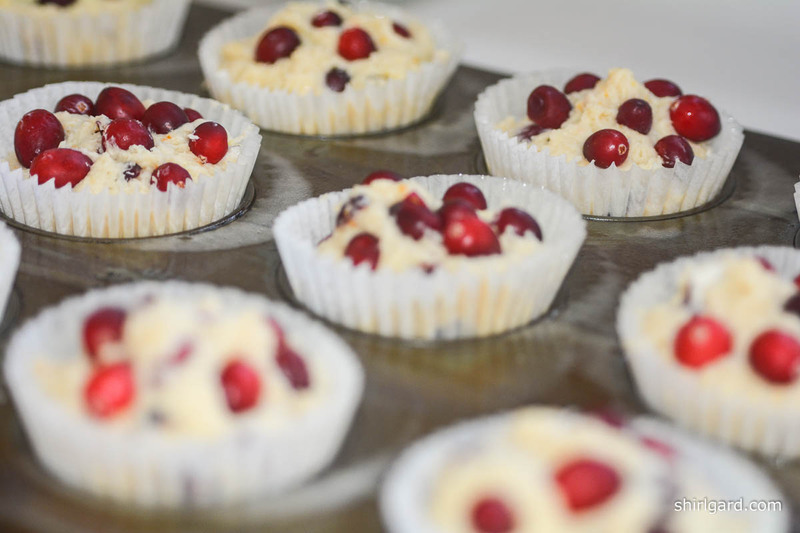 BAKE: After pre-heating the oven to 450°F (232°C), turn down to 425°F (218°C) when the muffins go in and bake for 15 minutes. 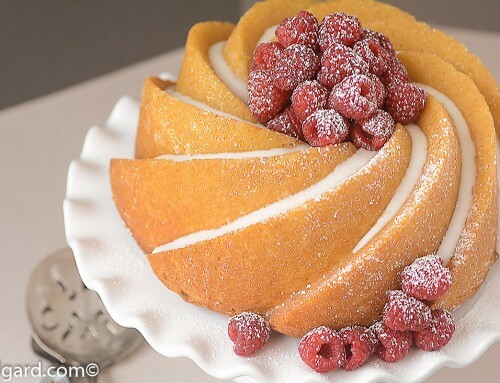 Rotate pan and turn oven down to 400°F (204°C) to finish baking, another 14 - 15 minutes. 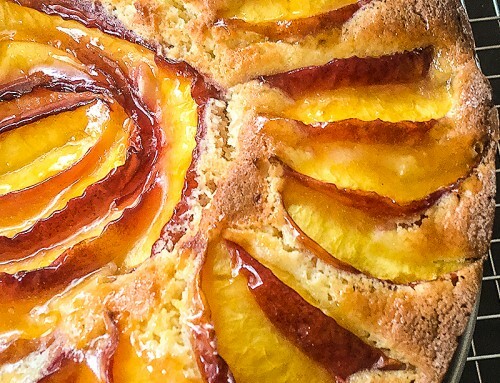 Total baking time: 29 - 30 minutes. Bake until golden brown and a wooden skewer tests clean. 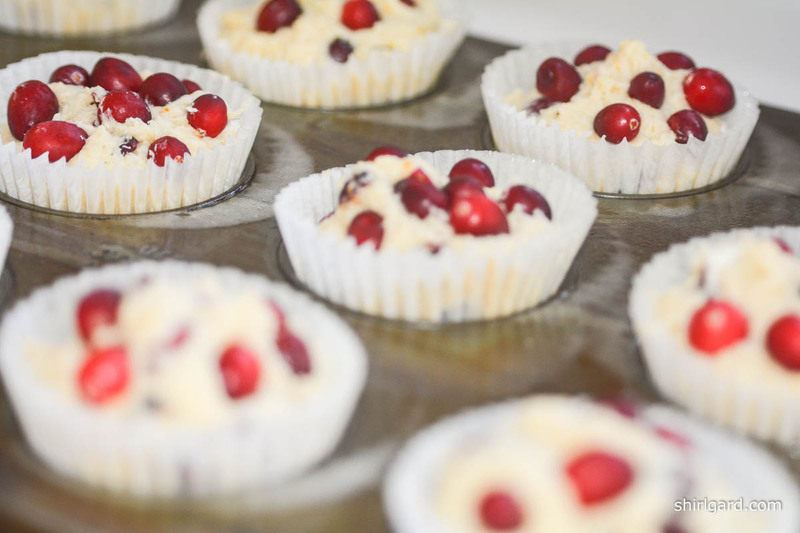 To double-check doneness, use an instant digital thermometer to determine the internal temperature, or use a digital thermometer with a probe, inserted into one of the muffins after about 20 minutes of baking (when the crust is fully formed). Set the thermometer to beep @ 209°F. 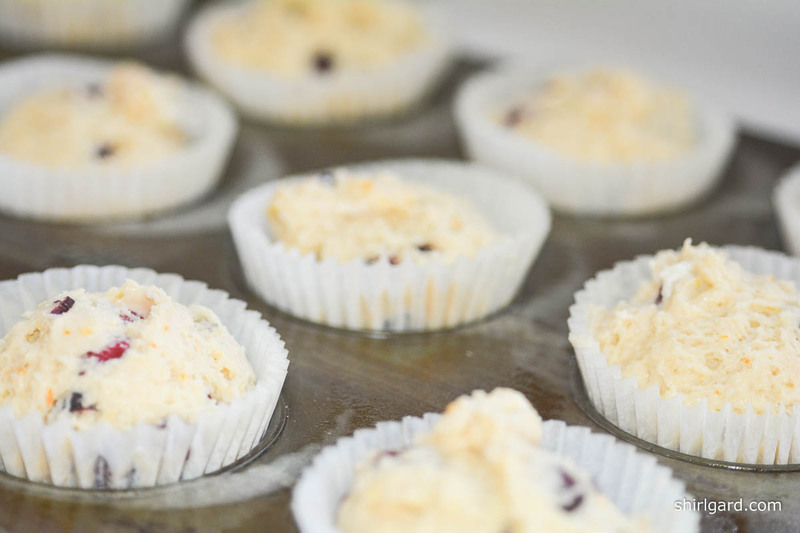 INTERNAL TEMPERATURE = 209° - 210° F.
COOL: Leave in the pan 5 -10 minutes only, then transfer to a cooling rack, or place them on top of the muffin pan to finish cooling. Make sure they sit flat and level to cool. 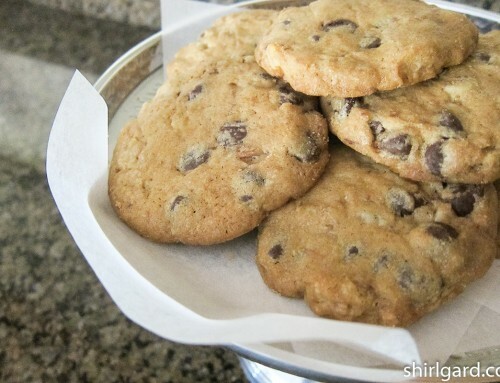 Letting them cool completely in the pan will cause them to sweat and stale faster. This recipe was adapted from "Blueberry Muffins Shirl", which was inspired by a recipe in Cook's Illustrated Jan/Feb 1997.